On January 31st the national finals of India Research Challenge 2013-14 were held at Mumbai. 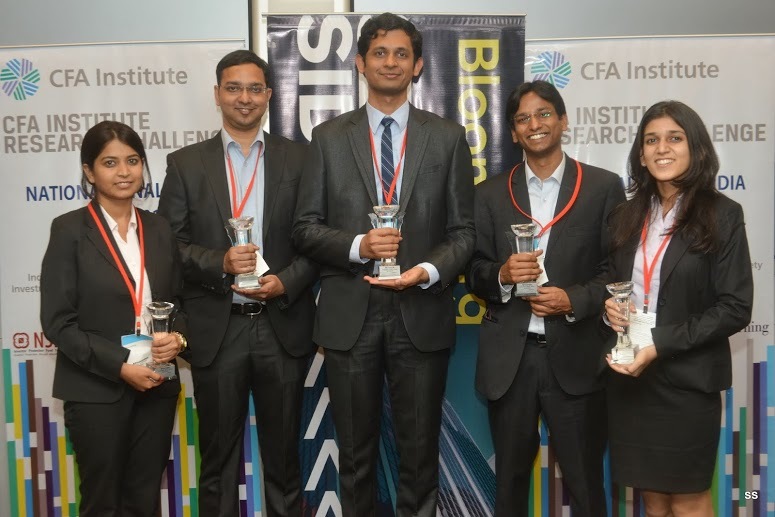 To nurture the next generation of investment professionals and instill the importance of ethics and professional standards, the global membership organization CFA Institute and its member societies host an annual competition for university students called “CFA Institute Research Challenge.” The India round of the CFA Institute Research Challenge is organized by the Indian Association of Investment Professionals (IAIP) and also involved corporate sponsors – Bloomberg, NSE and Research Foundation of CFA Institute. 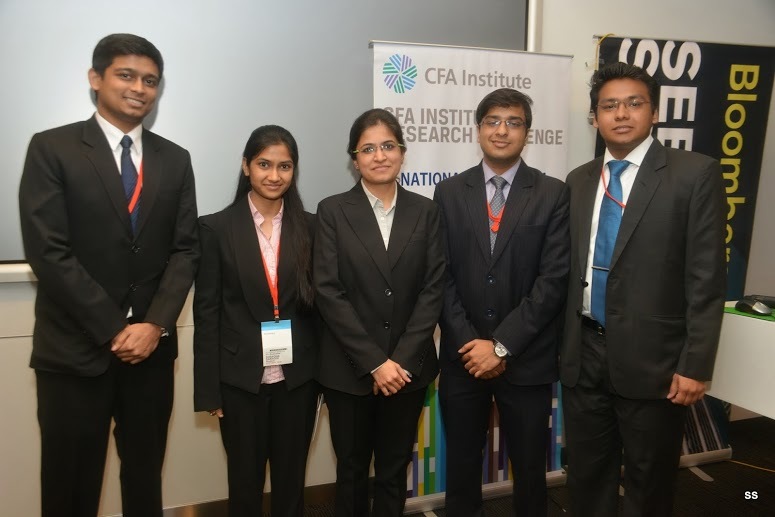 CFA Institute Research Challenge tests the analytic, valuation, report writing, and presentation skills of university students. 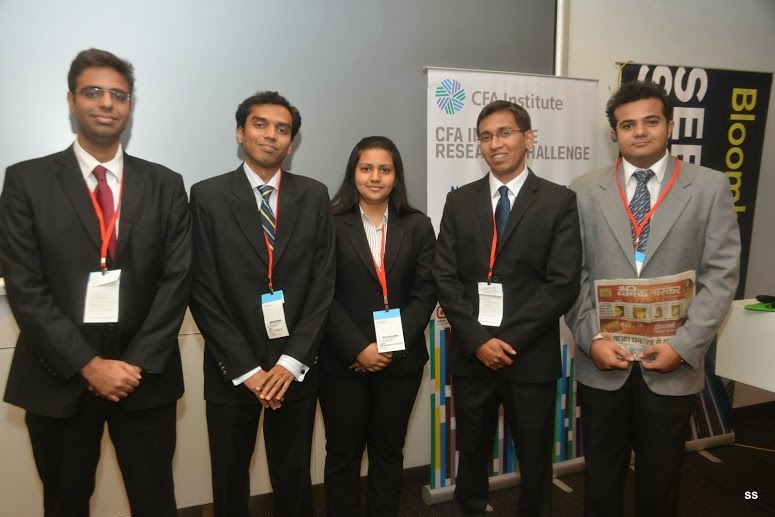 Students have the unique opportunity to develop and present an equity research report and be mentored and judged by leading industry experts. 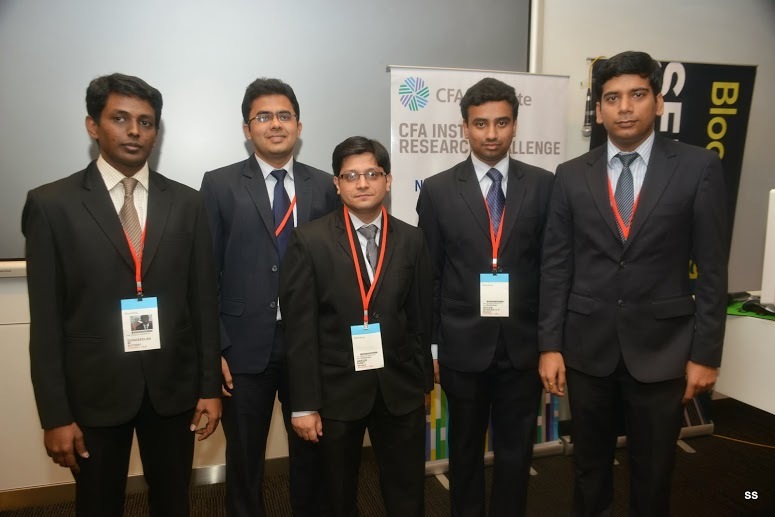 Local competitions involved teams of three to five business and finance students from participating universities who worked directly with a local company in researching and preparing a company analysis under the guidance of senior industry participants and CFA charterholders as mentors. This annual competition was introduced globally in 2006 and is considered, “the Investment Olympics” for university students. In six years, around 10,000 students have participated. 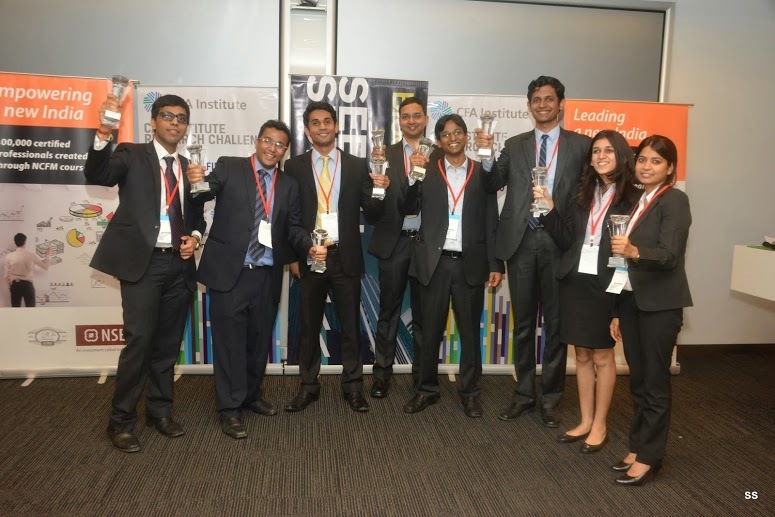 Teams are mentored by industry professionals and their university faculty members in conducting equity analysis, writing research report, and presenting their recommendations. In addition, all participants are briefed with the CFA Institute Code of Ethics and Standards of Professional Conduct. 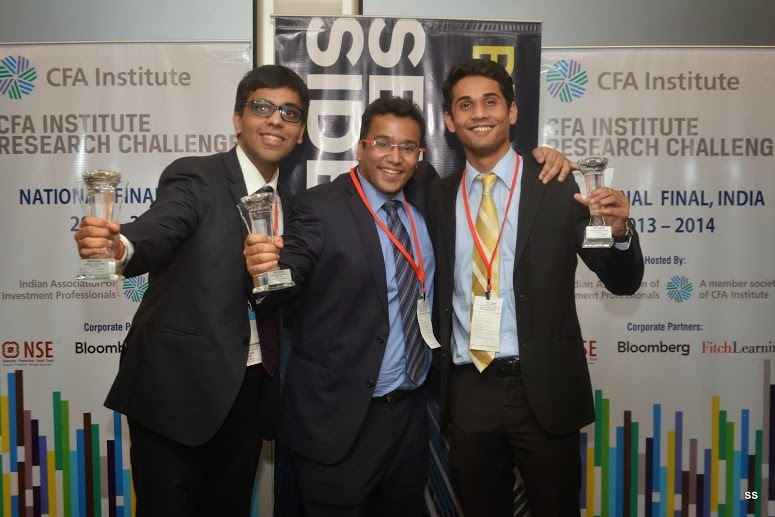 More on Research Challenge can be found here: http://www.iaipirc.org/irc and www.cfainstitute.org/community/challenge/Pages/index.aspx . This entry was posted in Events, Mumbai, Research Challenge and tagged Aviral Jain CFA, Bihari L.Deora CFA, CFA Institute, DB Corp, HT Media, IAIP, IAIP Challenge 2014, Indian Institute of Foreign Trade Delhi, Indian Institute of Management Bengaluru, Indian Institute of Management Shillong, Investment Research Challenge, Jagran Prakashan, Jayesh Gandhi CFA, Kishor Bagri CFA, Meera Siva CFA, Mohit Beriwala CFA, National Institute of Industrial Engineering Mumbai, Priyank Singhvi CFA, Research Challenge, Shravan Sreenivasula CFA, SUN TV Network, Symbiosis Institute of Business Management Pune, Vinay Bagri CFA, Zee Entertainment Enterprises. Bookmark the permalink.